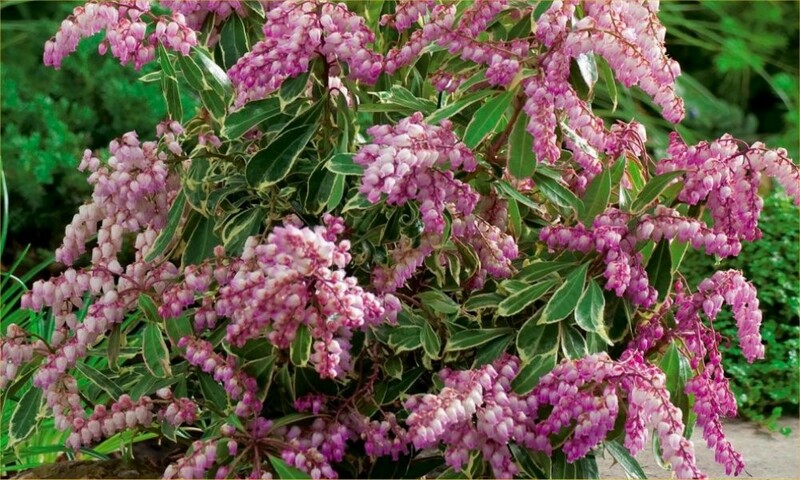 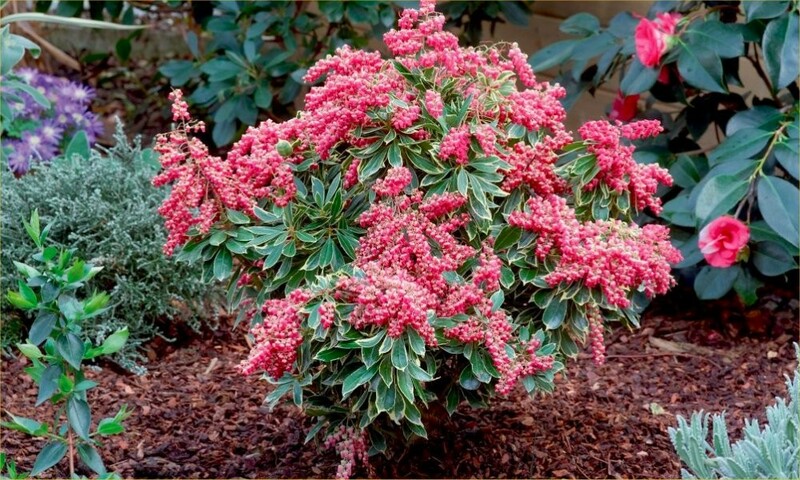 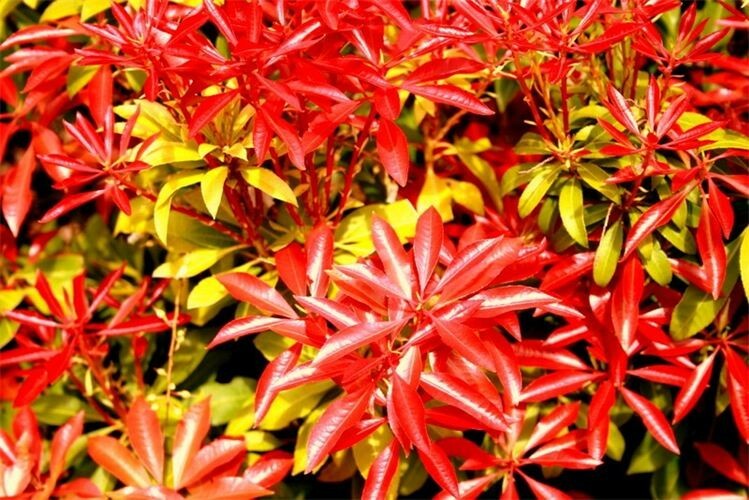 This selection of easy to grow evergreen Pieris Shrubs have beautiful flowers and foliage. 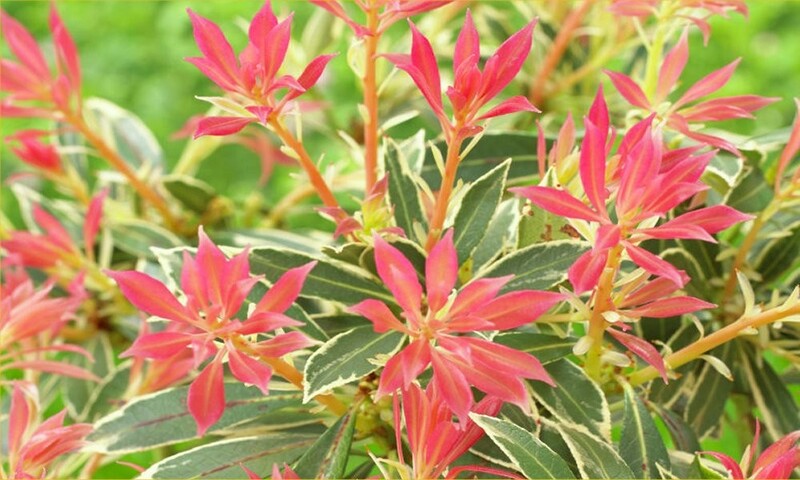 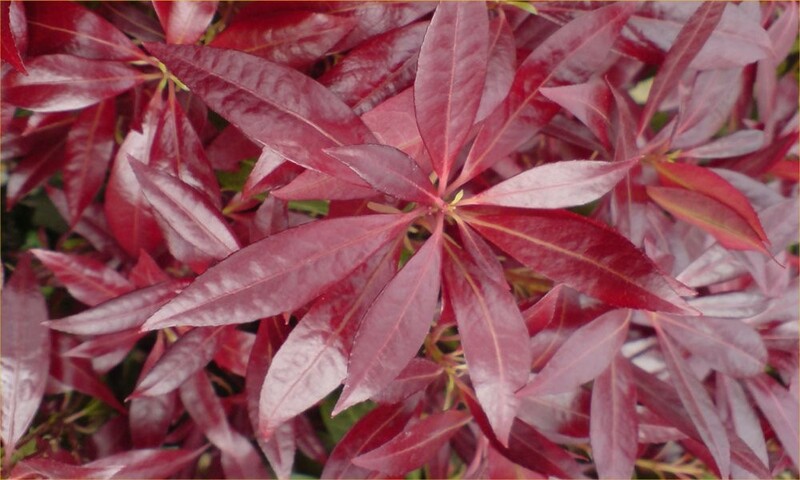 A Special Collection of the favourite varieties, these plants will arrive with you as neat busy plants, and will provide immediate interest with colourful new foliage or blossoms, and provide many year of gardening pleasure thereafter. 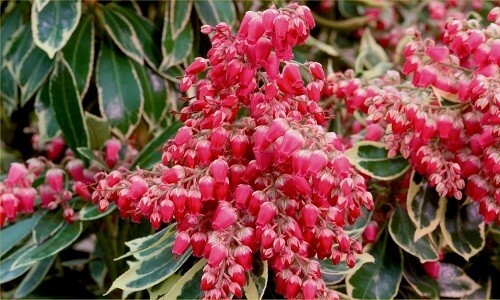 Perfect patio plants in tubs or containers, or planted in to your garden beds and borders for all year round colour. 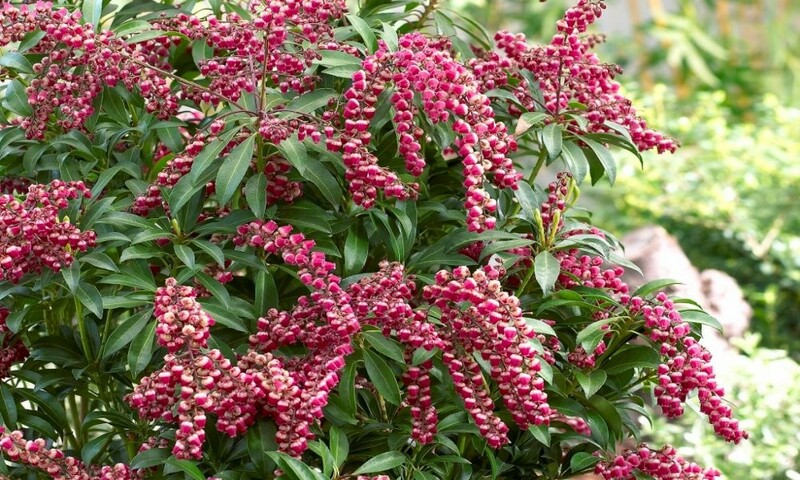 Our Pieris are looking fantastic at this time of year - the fresh foliage is full of bright colours, and the buds are looking lovely - no wonder the plant has the common name ''Lily of the Valley shrub'' when covered in tiny bells. 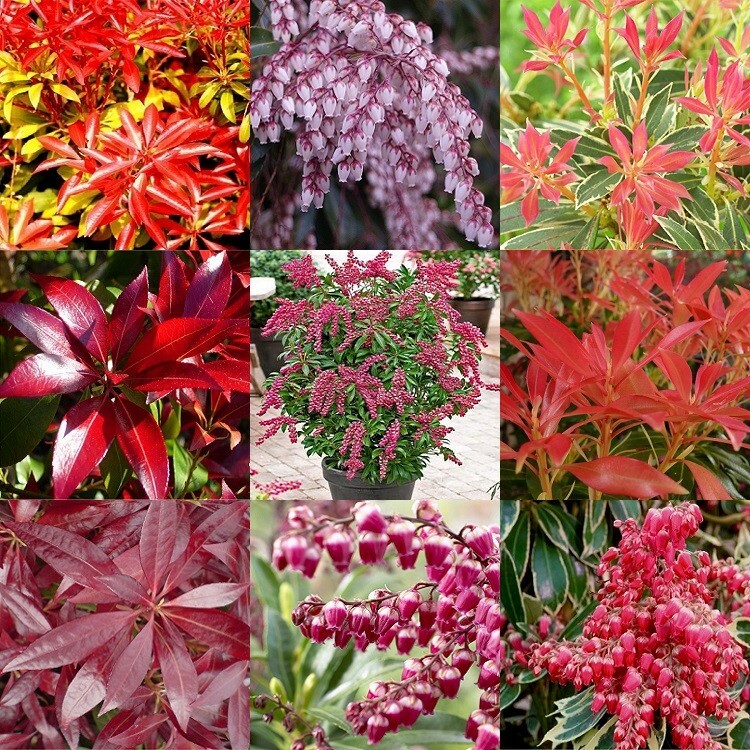 This Collection consists of five distinct varieties selected from across our range and all supplied as top quality attractive bushy plants in approx 1-2 Litre containers.